It was a magical day for the students of Government College (Junior) Ikoyi as they played host to the World Tennis Champions, Venus and Serena Williams courtesy of Proctor & Gamble, makers of Always Sanitary Pads; and Connect Marketing Services. Venus and Serena Williams spoke to the girls about a wide range of issues, from their ambitious beginnings to the secret behind their success as Tennis players. 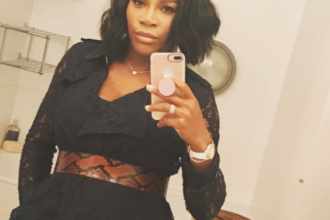 The sisters stressed on family, and the need for older sisters to set the right example for their younger ones, according to Venus, “my role model has always been my elder sister, Serena – she made me aspire to greatness. Also family is very important…” She also went on to emphasize that a loving and supportive family is the bedrock of greatness, saying she was grateful to her family for providing her with the proper discipline and moral compass that pointed her towards greatness from a very tender age.